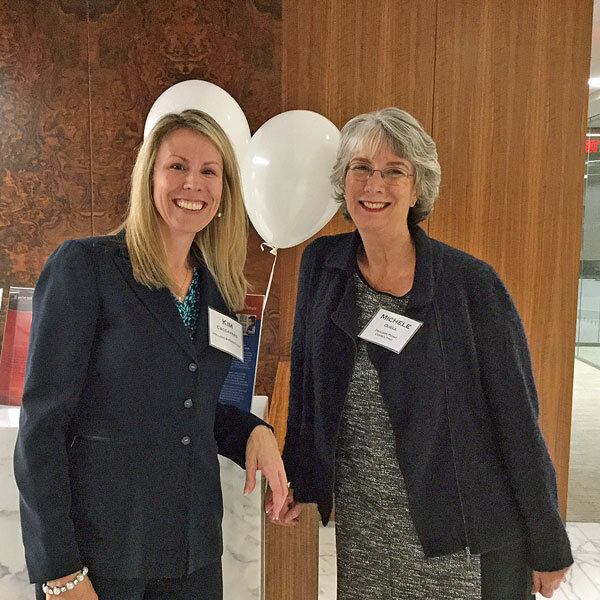 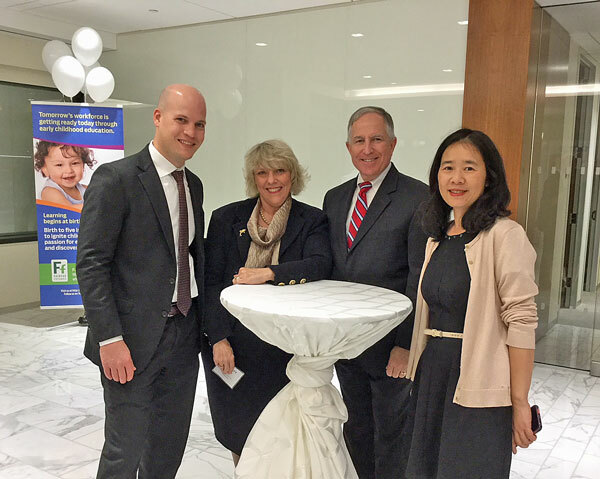 On November 9, 2017, Fairfax Futures held its Second Annual Business Leaders’ Reception, hosted by Holland & Knight and co-sponsored by PenFed Credit Union. 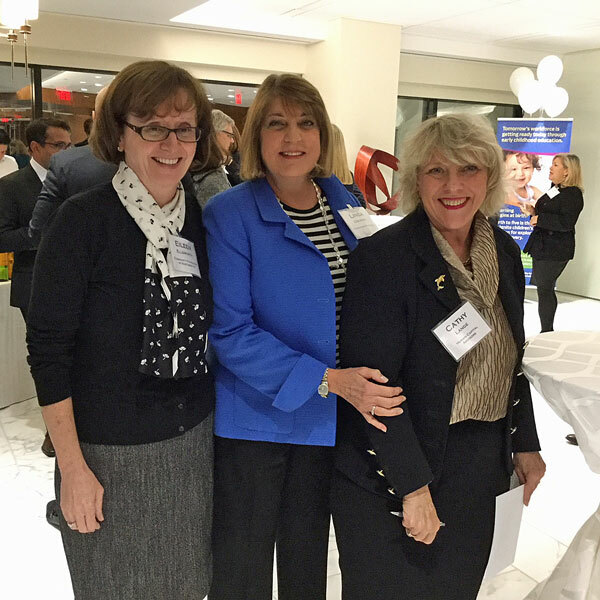 Fairfax Futures’ Board Chair Cathy Lange welcomed guests and talked about Fairfax Futures’ ongoing efforts to support young children’s school readiness, in part by increasing the knowledge and competencies of early childhood educators across Fairfax County. 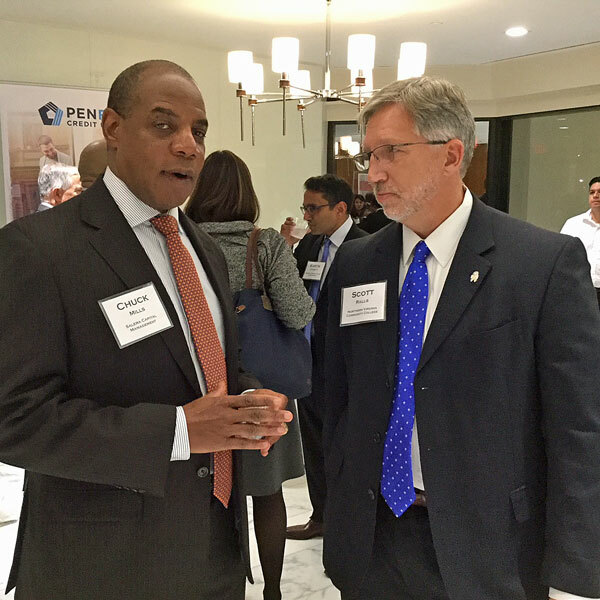 Presenters included Mr. Chuck Mills, CEO and Founder of Salera Capital Management, and Dr. Kartik Athreya, executive vice president and director of research at the Federal Reserve Bank of Richmond. 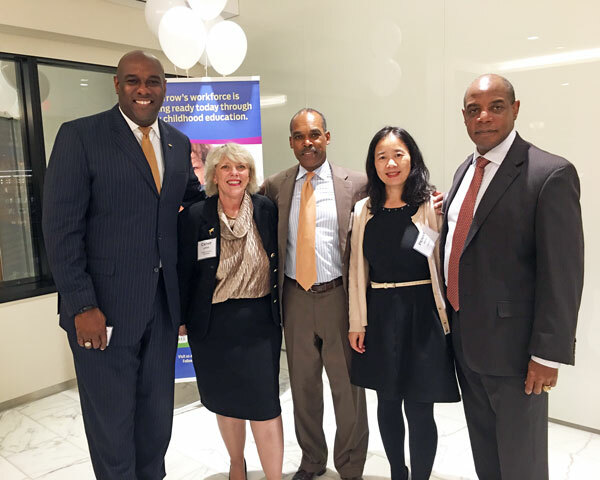 Mills, who formerly served as Director of Small Business Assistance under then-Governor Mark Warner, spoke of the impact his enrollment in Head Start had on paving the way for his later personal and professional opportunities. 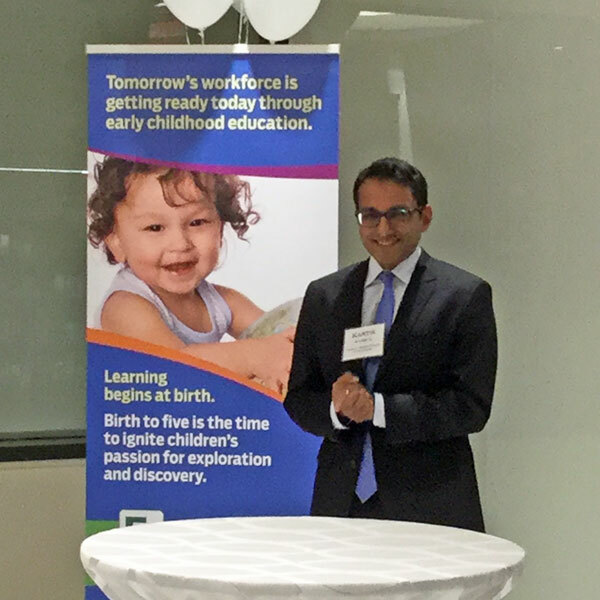 Athreya addressed the broader macroeconomic impact of investing in human capital beginning very early in life – before children enter school – and why the Federal Reserve Bank recognizes the importance of investment in quality early childhood education as a fundamental economic development issue.